I’m responding to your question to me about the wrist distaff. I do still make these, and if you are interested, please send me your email, and I will notify you when there are some in my etsy store. 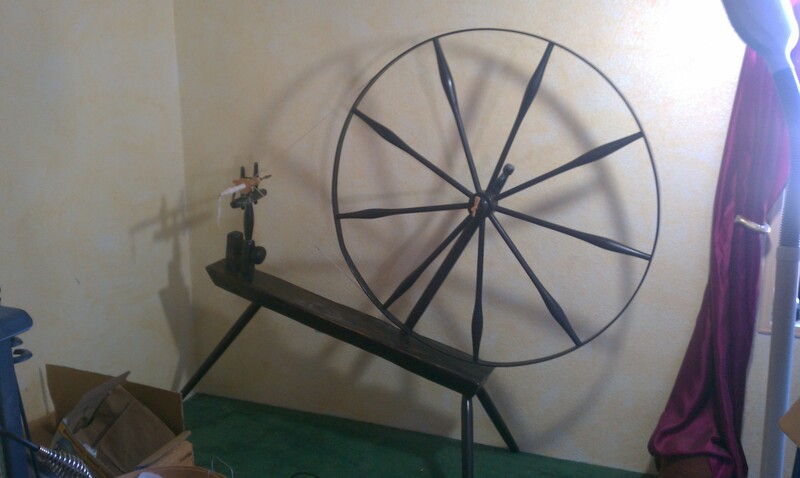 Did you ever receive your Carson Cooper Wheel? No, sadly, after two + years I still had nothing – no estimated date of completion, not even a photo of a wheel in progress. Just a request for more money because the wheel he supposedly made warped. I hope you got your money back on the cooper wheel. What you mention in your above comment is quit common. Lot of people out money and never go there wheel. I did, but it broke down after a few spins and took 10 months for a new part. Altho it still throws the drive band. I can’t even resell it for that reason! Out $2,400. I did not get most of my money back. I did get a little bit because I threatened legal action. He kept the vast majority for his supposed time and materials. That’s CRAZY THAT YOU SPENT 2400 AND IT IS CRAP!!! Holy cow, I am so sorry! Jeez. I guess I got off easy. I bet he gave you the warped wheel he wanted me to pay for. Q’s Quality woodworking on FB can steam the wheel and make it straight. He just recently moved and is building a new shop but I’ve seen his work and it’s pretty amazing.